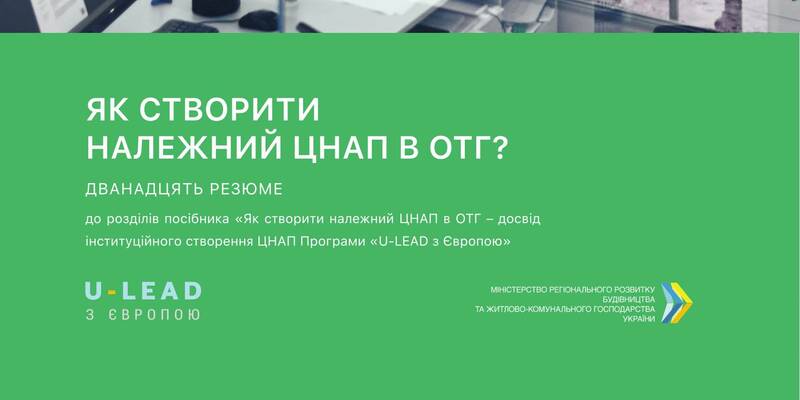 Experts of the U-LEAD with Europe Programme have created a useful product – a summary of each chapter of the 400-page manual on the institutional establishment of the ASC in the hromada from scratch, useful for hromadas willing to create a proper ASC and not aware of where to start from. 12 chapters of the manual provide a brief overview of the most important information for each stage of a proper ASC establishment. For example: the peculiarities of joint ASCs establishment, planning and organisation of work of the mobile ASC, key aspects of hromadas’ cooperation in the field of administrative services.